The Sunbounce system consists of a collapsible aluminum frame that can be easily assembled and combined with different reflecting, light-reducing, or light-absorbing screens to take full advantage of any kind of light, hard or soft, natural or artificial. 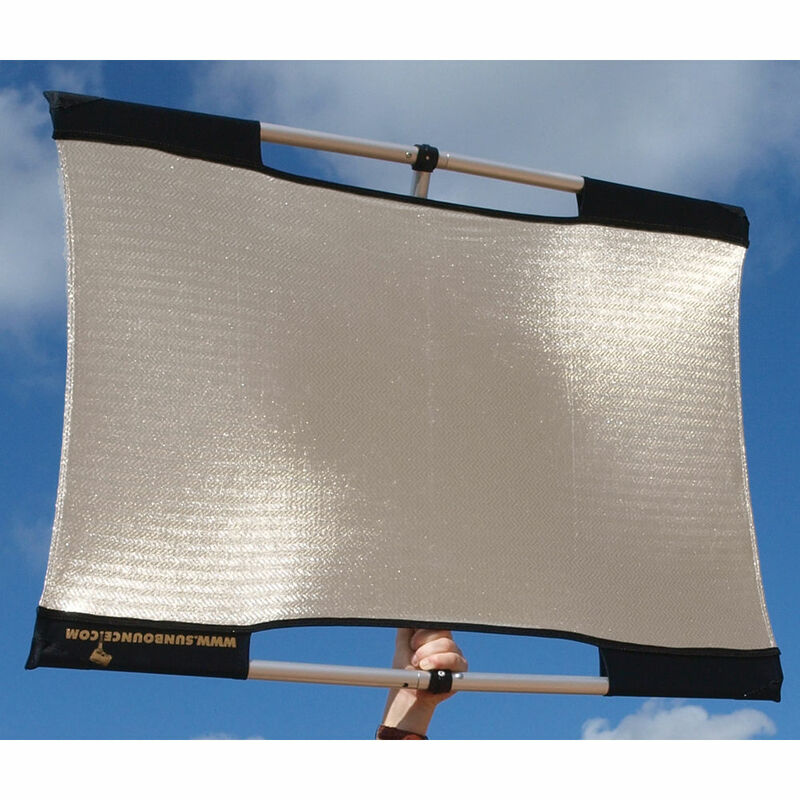 This Micro-Mini Silver/White Screen (2 x 3') from Sunbounce is the reversible silver/white screen for the system. The silver side reflects a strong, contrasty light, the white side reflects a soft diffused light. Frame is not included. Box Dimensions (LxWxH) 18.05 x 11.2 x 1.05"